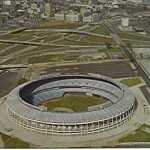 In 1966, Atlanta was propelled into professional sports status with the arrival of the Braves from Milwaukee as they moved into Atlanta Fulton County Stadium. Although the city lacked a professional sports franchise, a new stadium was first discussed as early as the 1930s. 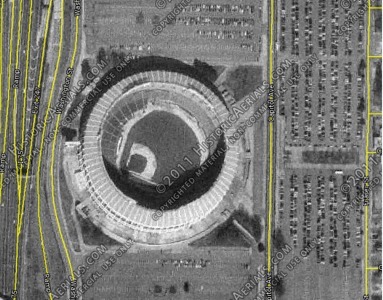 Two decades later, in 1956 the first major proposal for a multi-purpose stadium was proposed. 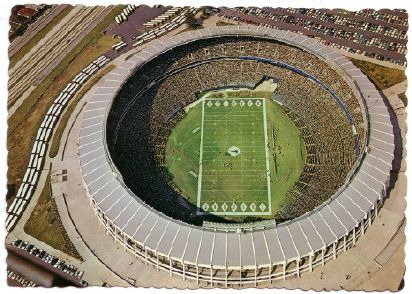 The American Football League sought to place a franchise in Atlanta and Charles Finely, owner of the Kansas City Athletics baseball team explored the idea of moving his team here if a new stadium was constructed. 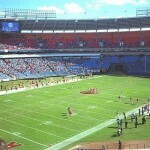 However, both the AFL and Finley were unhappy with the city’s slow pace constructing a stadium. In Milwaukee, William Bartholomay purchased the Milwaukee Braves in 1962 and began looking to move the team because of declining attendance at County Stadium. 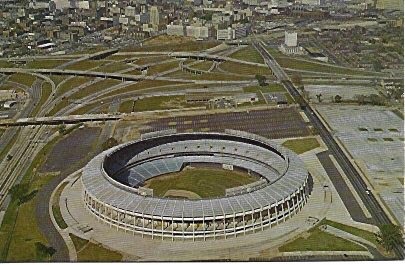 On March 5, 1964, the Milwaukee Braves announced they would move to Atlanta if a stadium was completed by 1966. 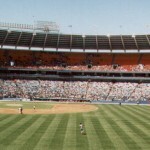 Construction began immediately on April 15, 1964 and was named after its location, Atlanta Stadium (later renamed Atlanta Fulton County Stadium). It was one of the first cookie-cutter stadiums to be built and was multipurpose in order to accommodate both football and baseball. 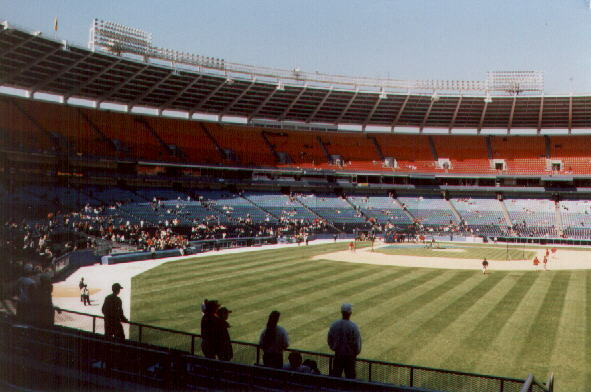 The stadium was completed by the 1965 baseball season, but the Braves did not move to Atlanta until the 1966 season. 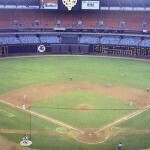 In 1965, Atlanta’s International League team, the Atlanta Crackers, played at the stadium. Phil Niekro pitchers a no hitter on August 5, 1973. Hank Aaron’s 500th, 600th, and 700th homeruns. Hank Aaron’s 715th homerun on April 8, 1974 breaking Babe Ruth’s record of 714. 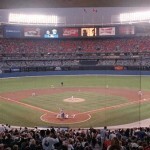 On April 12, 1966 the Atlanta Braves played their first game at the stadium in front of 51,500 fans. 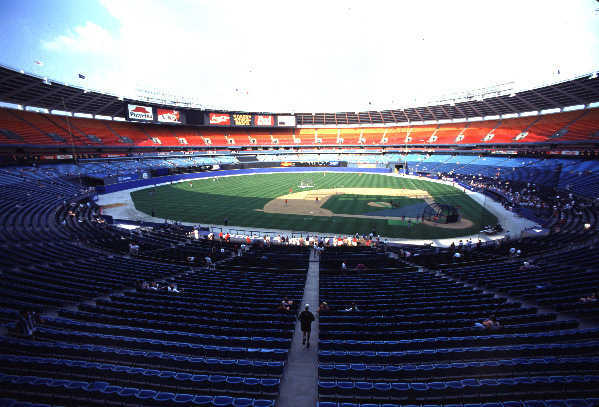 The stadium was completely enclosed as three levels of wooden blue seats circled the entire stadium. The field was 30 feet below the 10,000 car parking area. Two scoreboards sat behind the outfield fence in both right and left field. 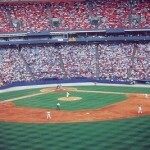 The Braves were not the only professional franchise that made their debut in Atlanta in 1966. 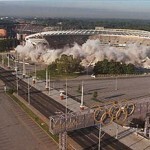 They shared Atlanta Stadium with the NFL’s expansion Atlanta Falcons. 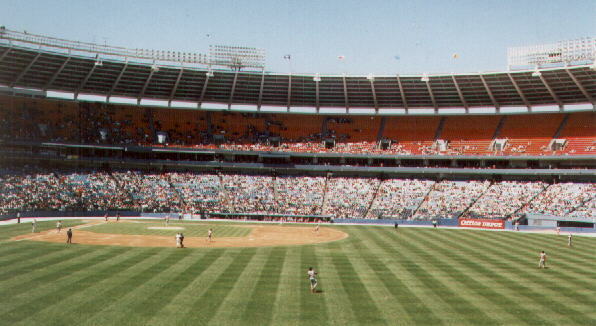 Beginning in 1967, a teepee/wigwam of the team mascot, Chief Noc-A-Homa was located on a 20-foot-square platform behind the left field fence. The teepee/wigwam was moved to different locations throughout the years and was removed after the 1983 season. 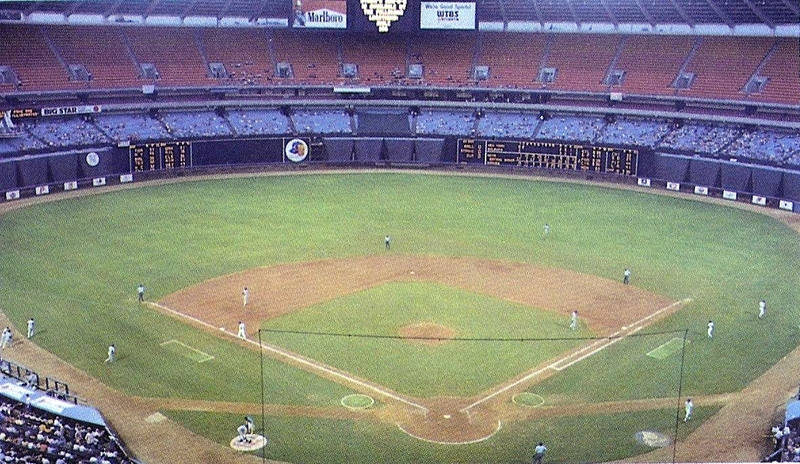 The most historical moment at Atlanta Fulton County Stadium was Hank Aaron’s 715th homerun on April 8, 1974 breaking Babe Ruth’s record of 714 homeruns. A marker over the left field wall marked the location where the homerun landed. 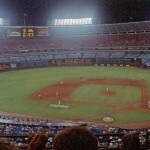 With extremely low attendance and with an awful team, Atlanta businessman Ted Turner bought the Braves in the mid 1970s. 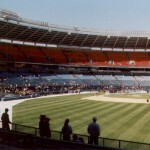 Promotions were staged on a daily basis to attract fans to the stadium. 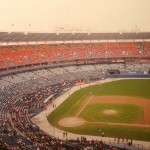 In 1977, the stadium was given a new look, with new seats. 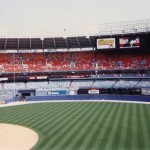 All of the wooden blue seats were replaced with blue, orange and red plastic seats. A new scoreboard/video board was placed below the stadium roof in centerfield. 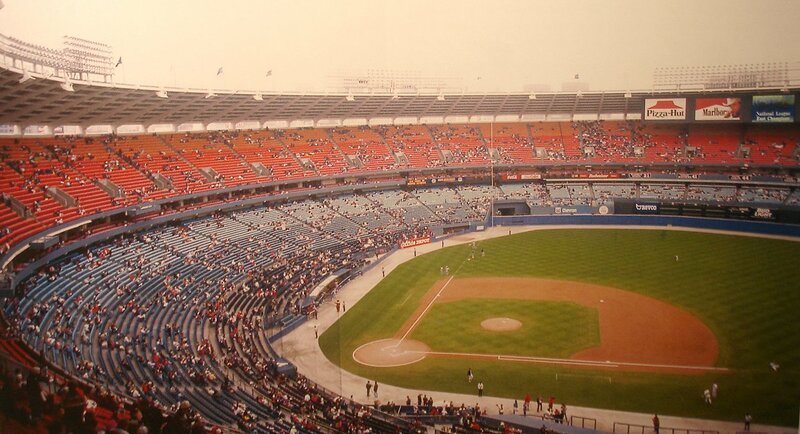 Atlanta Fulton County Stadium changed little until it closed. 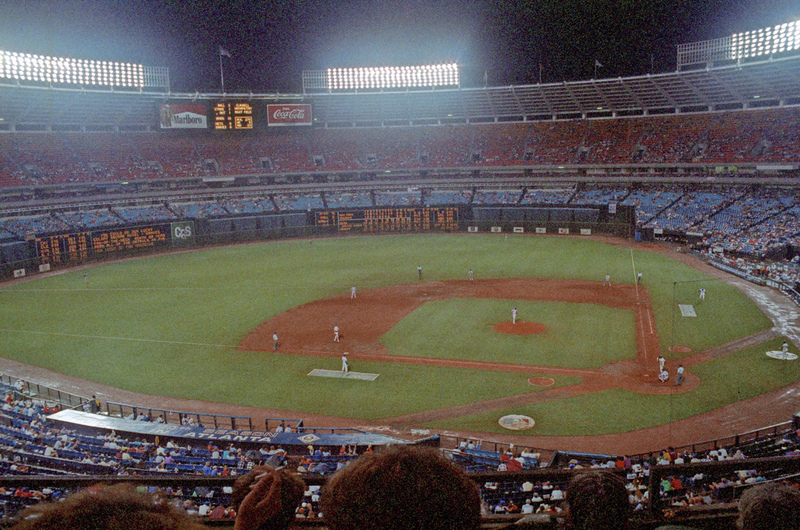 Both the Braves and Falcons began to seek new stadiums in the 1980s. 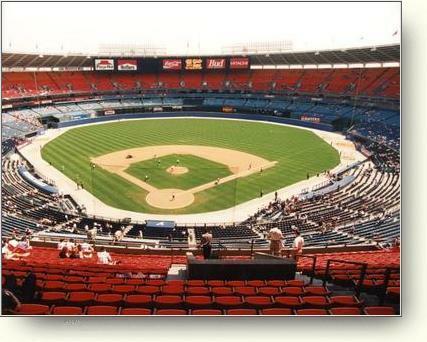 Atlanta Fulton County Stadium was known as having a terrible playing field and the seats in football configuration were awful. 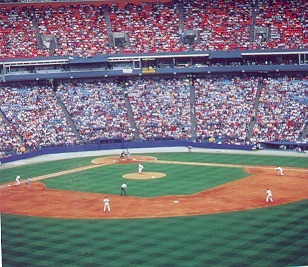 Unlike other multipurpose stadiums built that had lower grandstands that moved to form a gridiron, Atlanta Fulton County Stadium had seats that pulled out from the outfield. This led to an oval seating arrangement in football configuration with the 50 yard line seats the farthest from the field. 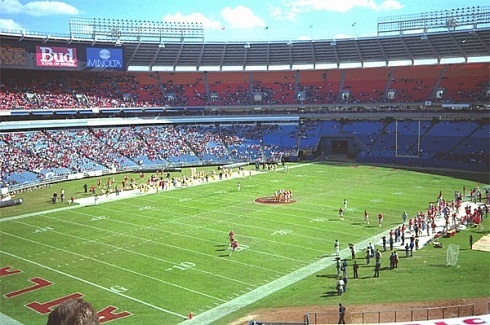 The Georgia Dome was built for the Falcons who moved out of the stadium in 1991. 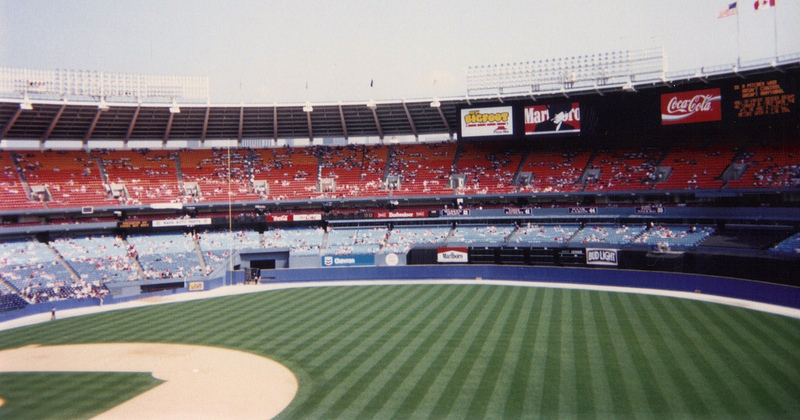 Because the city maintained the playing field and its bad conditions, a groundskeeper was finally hired 1990. Also that year Atlanta was awarded the 1996 Olympic Games. 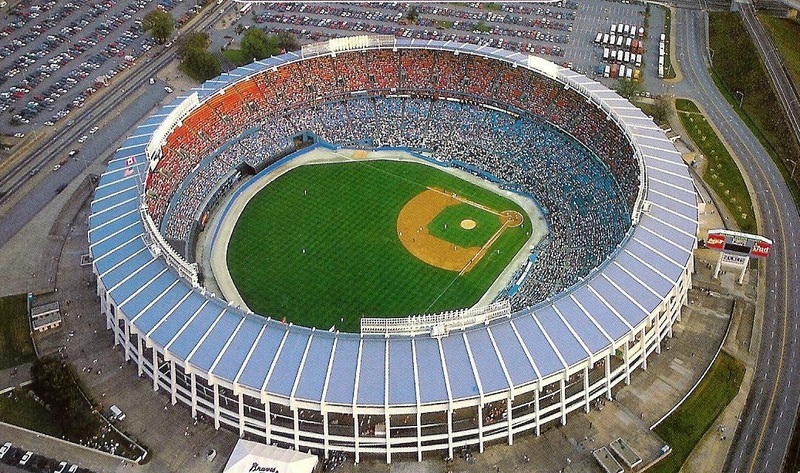 A new stadium for the opening/closing ceremonies and track events was constructed adjacent to Atlanta Fulton County Stadium. 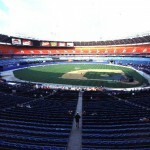 It was built in order to be reconstructed as a baseball only facility after the Olympic Games. 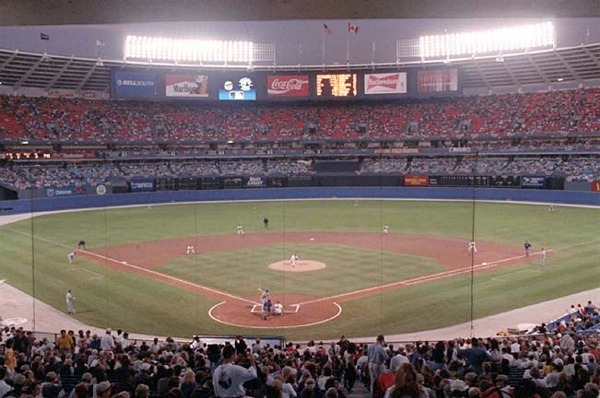 On October 24, 1996 the Braves played their last game at Atlanta Fulton County Stadium, a World Series game against the New York Yankees. 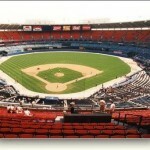 The following season they moved into the reconstructed Olympic stadium, Turner Field. 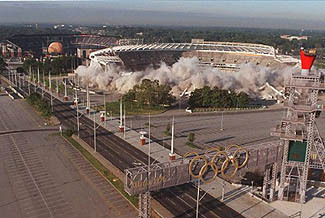 On August 2, 1997 Atlanta Fulton County Stadium was imploded in less than 30 seconds. It is now the site of parking for Turner Field, but part of the original retaining wall remains and the site of Hank Aaron’s 715th homerun is marked.